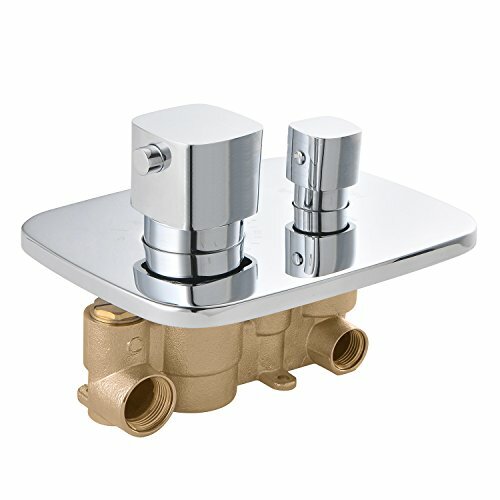 SUMERAIN is one of the most established names in the US plumbing industry which puts great emphasis on stylish and durable .Perfection does not always have to be expensive.SUMERAIN masterful products are available for a price which is quite affordable for the excellent quality. The key to our success is intelligentization- we have rapidly expanded into exciting new products groups to be at the forefront of the market. The new product team benefit from a development system audited to ISO9001 standards, meaning each product is designed, sourced, evaluated and warehoused to the highest standard.SUMERAIN offer a 5 year guarantee for leaking, unless otherwise stated against manufacturing defects on all products when used in normal domestic (excluding serviceable parts, neglect or abuse).SUMERAIN can provide our customer the fast and best local customer supports in US,Deutschland and EU. Please Noted:Using two functions simultaneously may reduce the water flow to both outlets. If you have any questions about this product by SUMERAIN, contact us by completing and submitting the form below. If you are looking for a specif part number, please include it with your message.